Crap! I totally forgot to post again, which I feel really bad about, but it’s not like I’m sitting around in my underwear watching TV. 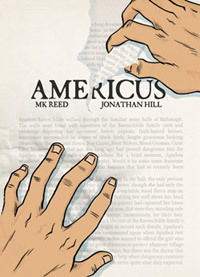 MK and I have been working up a storm on our SPX Americus related project. And then I have to hang the show at Powell’s next Tuesday, WHICH IS WHEN THE BOOK COMES OUT, and then there’s the reading on Thursday. [For those of you that can make it, you can get all the details here]. 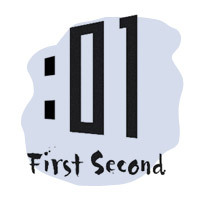 In other good Americus news: the book was nominated, along with a lot of other First Second books for the Young Adult Library Services Association 2012 Best Graphic Novels for Teens! Yay! We also need to start thinking about what to do with the website after the pages get serialized. We’ll probably just turn it into an informational website about Americus, as well as a blog that has Americus related news and events and stuff. Is there any of the content that’s on here, or any posts that we have done that you would like to see archived when we transition over to that format? The ones that came to my mind are the posts where we casted the Americus movie, and then some of the process posts, as well as last year’s Banned Book Week posts. I really like all of the posts with links out especially Tolkien documentary and the ones dealing with banned books and the plights of libraries today. I’m not involved in the library community, I just love libraries to death, but didn’t realize the hardships they go through. Your posts and your comic have opened my eyes.